If you’re committed to improving your health through exercise but don’t want to go to a gym, you’ve probably decided to use a home fitness routine. However, whether you’re an experienced at-home exerciser or a relative newbie, you should always be on the lookout for the newest health research and pay attention to the latest trends to discover for yourself if you can improve your at-home workout game! As you probably know, people who are serious about home exercise have at least some exercise equipment in their home that they use on a regular basis. 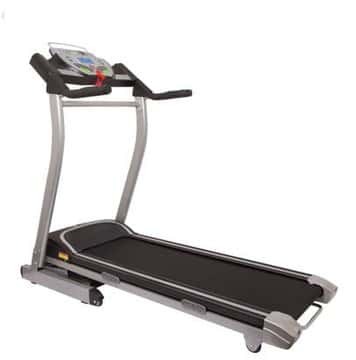 However, unless you want to set up a full replica of your hometown gym, you’re probably going to need to pick and choose which home fitness equipment you do purchase. Some of the most basic staples that many home fitness gurus have are spinning bikes and treadmills. In fact, according to the International Health, Racquet, and Sports Club Association, the treadmill is the most popular exercise machine the world over and the spin bike – a type of stationary bike – made it in the top ten. So why are these two pieces of fitness equipment so popular? Both the treadmill and the spin bike share the number one quality that makes them a great choice for home fitness enthusiasts of any weight or experience level. Both of these home fitness exercise machines have the benefit of being fairly straightforward to use. These effective cardiovascular exercise machines are examples of the fact that a fitness machine doesn’t have to be difficult to use to be effective! In fact, they can even be easier and faster to use than an outdoor exercise session because they give you a medium- to high-intensity workout from the start, which works to burn calories and fat fast! Now let’s run down some benefits for each fitness machine! Can be used for HIIT (high-intensity interval training), which is an intense form of working out that can help you lose those extra pounds faster than lower intensity methods such as walking. Utilizes more of your body in the workout, instead of allowing you to sit on a bike seat like the spin bike, the treadmill forces you to work your whole body at the same time. Treadmills are gentler on your joints than running outside, making them a perfect choice for those who want to avoid wearing down their joints. With its many settings and intensity levels, you can use a spinner bike for many different exercise routines. Because you get to exercise while sitting, the spin bike allows you to exercise for longer than you would on a treadmill. Sitting down also lowers the stress and impact on your joints and lower back, making spin bikes a good choice for those with back injuries. So, whether you’re a fan of walking, jogging, and/or running or of cycling to get your heart pumping and your body healthy, treadmills and spin bikes can help you exercise from the comfort of your home!